Harvesting coffee fruit is done manually by picking the fruit that has been cooked. The size of the fruit maturity is characterized by discoloration of the fruit skin. Rind dark green when young, when half-ripe yellow and red when fully ripe and become blackish when fully ripe exceeded (over-ripe). Maturity of Coffee fruit can also be seen from the violence and glucose component in the fruit flesh. Ripe coffee fruit has a soft and slimy fruit and glucose-containing compounds are relatively high so sweet. In contrast, meat of young fruit little hard, not slimy and taste is not sweet because of glucose compound formed is still not maximal. While the content of mucus on the overripe fruit tended to decrease because of some glucose and pectin compounds are broken down naturally by a process called respiration. harvesting selective done on ripe fruit. harvesting with half Selective is done on dompolan ripe fruit. take one by one the coffee fruit that fall because of late harvesting. picking all coffee fruit that are still green, usually at the end of harvesting. Sorting fruits is done to separate superior fruit (ripe, pithy, uniform) from inferior fruit (deformed, black, broke, perforated pests and diseases). Impurities such as leaves, twigs, soil and gravel must be removed, because it can damage parer. Red coffee beans (superior) are processed by methods processing semi-wet or wet, in order to obtain coffee beans skin horn dry with look good. Meanwhile, coffee fruit of mix green, yellow and red are processed by dry processing. 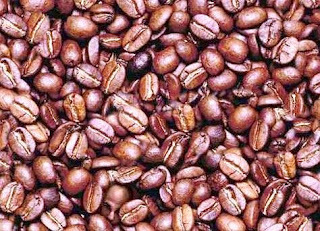 Things should be avoided is the storage of coffee fruit in plastic bags or sacks for more than 12 hours, because it will cause the pre-fermentation so that the aroma and flavors of coffee beans to be less good and smelling (fermented). 1 Response to "Coffee Post Harvest Handling"